Mold remediation costs at Coleytown Middle School have completely decimated the Board of Education’s carryover account and could end up costing $740,000. WESTPORT — Two rooms down, two to go. Or so Westport school officials hope. Mold remediation at Coleytown Middle School is continuing this week — more than a year after efforts began at the school — on a first-floor classroom, room 126. 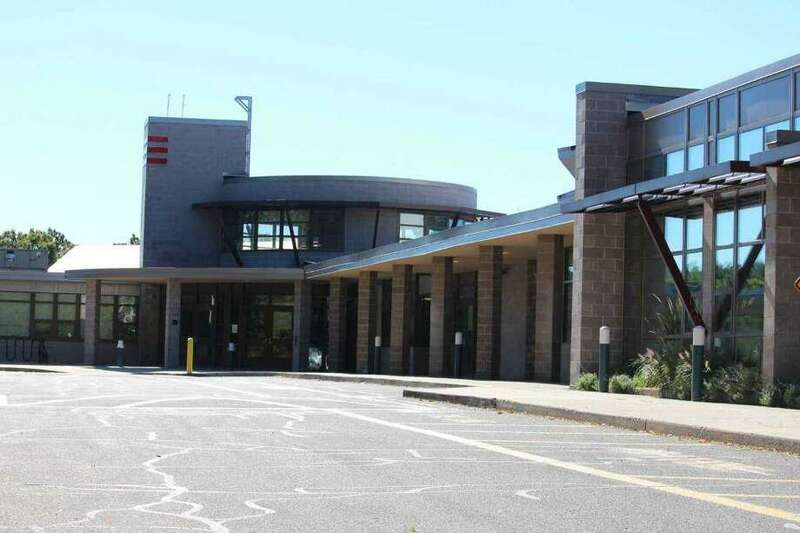 The work, according to Westport’s Director of School Business Operations Elio Longo, began on room 126 on Wednesday and is expected to be completed by Monday. The latest work comes just a couple weeks after mold was remediated from two additional rooms, 223 and 226, over Thanksgiving break. Room 223, a sixth through eighth-grade STEM classroom, required three cleanings, beginning Nov. 22, to bring mold levels down to acceptable levels, Longo said. Based on a mold testing report submitted to the school by the consultant Hygenix on Nov. 15, levels in room 226 were thought not to require remediation. Along with 226, three other rooms — 227, 222 and 219 — were listed in the report as within clean building range. That, however, was proven false, and levels in 226 were high enough to necessitate remediation. Both classrooms were reopened on Nov. 29. The fourth, and possibly final room to be remediated, is room 221. Longo said mold removal for that room was scheduled to commence Dec. 20. To date, the cost of to remediation 27 classrooms is $628,560. In August, the Board of Finance approved a request from Superintendent of Schools Colleen Palmer to deposit $327,000 into the school’s carryover account to cover the additional costs of the project, which originally was budgeted for only $250,000. Before remediation of the final four rooms began a balance of roughly $213,000 remained in that account. Longo estimated that each remaining room would cost roughly $20,000 to remediate, and said he was not concerned that the project would again run over budget, even though room 223 required multiple cleanings, as the cleanings themselves are not the biggest driver of cost. “The major costs that result are in the destruction and rehabilitation of the material,” Longo said. At press time, Longo said the cost of the two remediated classrooms was not available, though expected an invoice sometime this week.